When I was outside weeding recently, my son found this neat snail hiding in the plants. 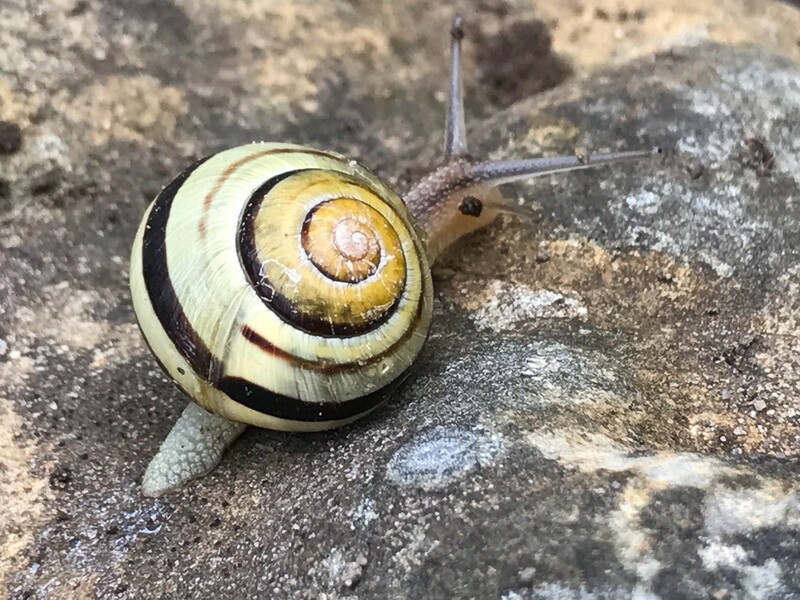 I love the swirly pattern on its shell! Living in the PNW I tend to see more slugs than snails, so this was a fun surprise. I'm going to download and keep this picture. I think it good enough to be used in some craft or art project. This will look very nice inserted in an acrylic cube pencil holder for my desk.